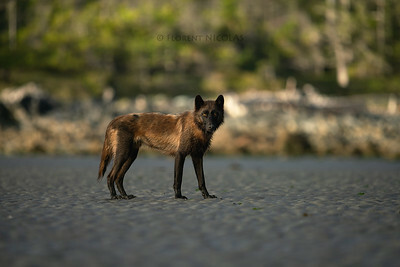 Coastal wolf of the Great Bear Rainforest (BC, Canada). Coastal wolves are living on the most remote islands and the coast of the Great Bear Rainforest. They mostly feed on marine resources. Protecting the coast of this unique coast is also protecting numerous species that depend of the marine environment. More information soon ! Following my experience with these wolves, I always thought that they are elusive. They sure are but sometimes nature can offer some great encounters. A world of thanks to my coastal friends for these indescribable moments. 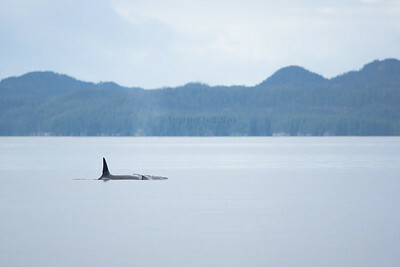 Orca in the Great Bear Rainforest of Canada. #Humpback #whales and their unique bubble feeding behaviour in the Great Bear Sea of #Canada - right on the proposed route for oil #tankers. (This picture was taken from the shore) The recent oil spill on the shores on #Vancouver shows that British Columbia does not have the "world class" response scheme. Oil tankers can not go through the Great Bear Sea. This region is unique because of its people and its biodiversity. We have to #protect all of this. Last minutes of life for this salmon, it will not escape the claws and teeth of this experienced bear... But it´s the beginning of a new cycle: the bear will feed on it and the remains will be consumed by many other species of the forest. For example, the decomposing salmon bodies will release a lot of nitrogen to the forest, it will boost many vegetal species. The Kermode bear is a black bear carrying a recessive gene producing this creamy-fur. There are probably a few dozen of this "white bears" and they are essentially living on few remote islands of British Columbia. Protecting the Pacific salmon means also to protect a whole region: from the First Nations communities to the hundred years old trees including one of the rarest bear of this planet! 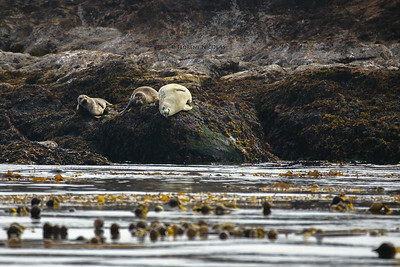 No, these seals are not "lazy". Seals need to haul-out mostly during mid-days hours for several reasons: thermoregulation, social interaction, avoiding predators, resting, etc. 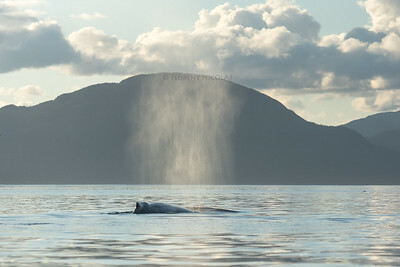 Typical view of the Great Whale Sea: humpback blow and the Great Bear Rainforest as background. This picture was taken right on the proposed route for oil tankers. How can we think bringing tankers in these pristine waters? 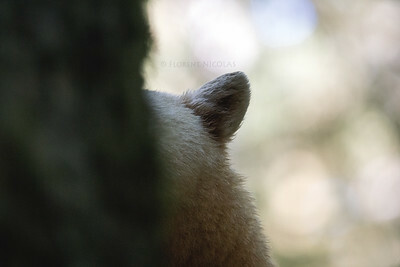 Spirit bear (Kermode), Great Bear Rainforest of Canada (BC). Probably one of the rarest bear of the planet: it is said that there are around 250 spirit bears in the wild. They are black bears with a creamy-white fur due to a recessive gene. This male is truly outstanding and each of his entrance in the landscape is a moment that I can hardly describe. Every year, he is back in the same river to feast on salmon before the next winter. 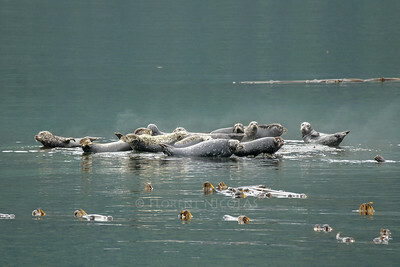 Along this coast, many top predator species are feeding on salmons: bears, wolves, killer whales, sea lions, etc. And even the trees are getting nutrients from the remaining dead salmons brought in the forest by predators. To protect the Great Bear Rainforest, we have to protect the wild salmon with a sustainable management of the stocks and to limit the development of massive industrial activities. A world of thanks to my coast friends for these unique opportunities. 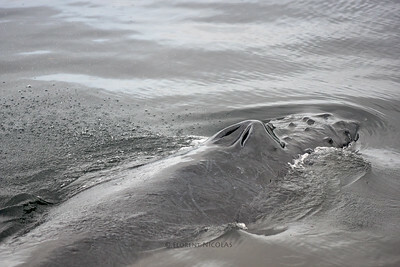 Close-up of a humpback whale while taking a breath along the shore. Sightings from the land are always great moments: no one is disturbing the whales and they are just showing their natural behaviour. This picture was taken along the outer islands of the Great Bear Rainforest, one of the last remaining coastal rainforest in the world. This area is full of several species of birds and marine mammals. The more we explore this place; the more we are amazed by its diversity. The first steps in a river of this coast are always exciting. You never know what is behind the next rocks or the next trees. This region is one of the last remaining unspoiled temperate rainforest of the planet, hopefully it will never change. Waiting for wolves in a untouched spot of the Great Bear Rainforest of Canada. Lots of howlings but not a single sighting. Wolves are hard to see but spending time in this untouched spot was amazing. This area deserves to be protected from the dirty oil industry of central Canada: we can not accept oil tankers in such a place. 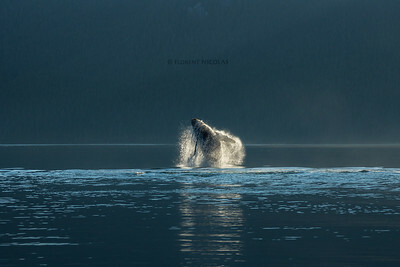 Humpback whale in the Great Whale Sea, along the coast of Northern British Columbia in Canada. 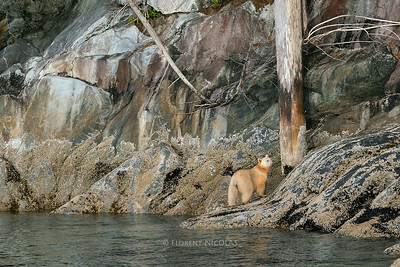 Spirit Bear (Kermode) along the Great Bear Rainforest, British Columbia (Canada). I will never be grateful enough to my First Nations friends for sharing with me their culture and these unique moments during my visits in their territory. 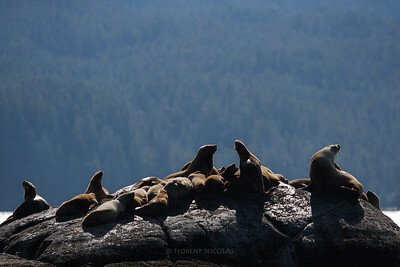 Stellar Sea Lions of the Great Bear Rainforest, Canada (BC). The Great Bear Rainforest is home to thousands of Stellar Sea Lions. As a highly sociable species, they gather by hundreds on few islands to rest, breed and give birth. Before being officially protected, Sea Lions were intensively hunted to protect the salmon commercial fisheries. Today the overall census is increasing but the Sea Lions are still under many threats such as entanglement in fishing gears, pollution, and other human activities that are disturbing them. Marine resources are essential for these wolves. They spend lot of time on the shore and along rivers foraging for potential preys coming from the marine side of this coastal rainforest (beached marine mammals, salmons, crustaceans, etc.). After looking for these wolves for a long time, one of them finally came out of the forest. A very special moment in a place that we have to protect. 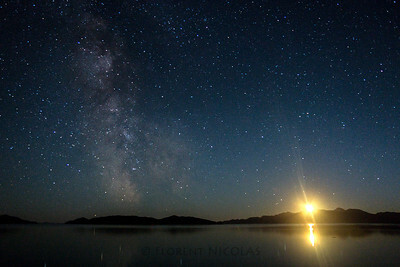 It is always very special to witness such a show from the shore. This day, the whales were performing and not a single boat was in the area. It was exactly how this place should be: the Great Whale Sea can not tolerate heavy marine traffic with oil tankers. A very special and rare animal: the Kermode Bear. A symbol of this coast. 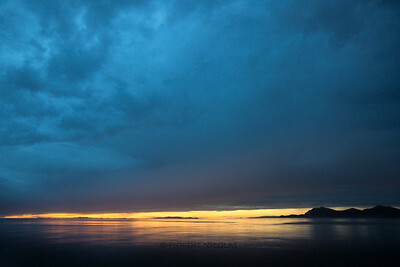 Sunset along the Great Bear Rainforest, right on the proposed route for oil tankers. January 2016, one more win for the Great Bear Rainforest Of Canada. After decades of fight, first nations and NGOs are celebrating a major win to protect the Great Bear Rainforest of large scale human activities. The Government of British Columbia announced that 85% of the region is now under a special management plan. The Heiltsuk Council (one of the first nation community) declared: "We are grateful for a step down the right path. It is the first of many miles yet to walk.". Exactly: one step at a time and we will see one day the Great Bear Rainforest fully protected from logging, tankers and trophee hunting. This coast, its people and its biodiversity deserve it. Late evening in the middle of the Great Bear Rainforest of British Columbia, #Canada. 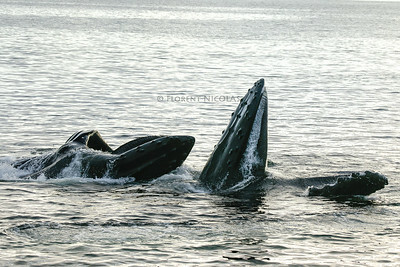 Using the famous bubble net feeding technique, two humpback whales are having their "dinner" along the calm and sunny coast (for once... :)). This technique is unique and can bring up to 15 whales feeding together. But even with two of them, the show is really special to witness. 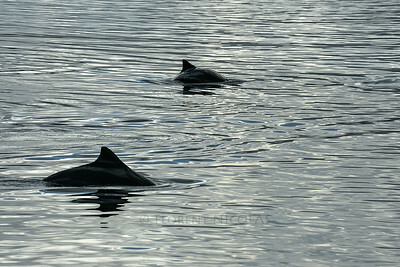 The whales were close to shore and you could feel how hungry they were before to have a long travel to warmer waters. 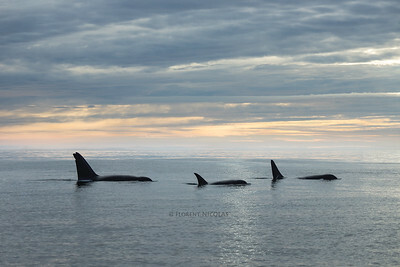 A unique moment that we all want to happen again: we can not accept #oil #tankers in this area: for these whales and for the #coastal communities. Magic happens. Sitting next to the river for hours to wait for large mammals such as bears and wolves, two bald eagles finally came right on top of me. They were literally looking at me and checking what I was for quite a long time. Every year, humpback whales are back in the cold and peaceful waters of the Great Whale Sea to feed and so to get ready to travel to the breeding grounds, around the tropic. 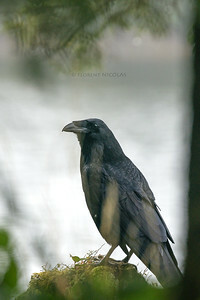 In the Great Bear Rainforest, Northern ravens are following your everywhere you go. A very intelligent bird and also one of the symbol of the first nations culture. Spending finally some time with the Spirit bear is clearly one of the highlight of 2015, an amazing gift from my friends living in this unique region. 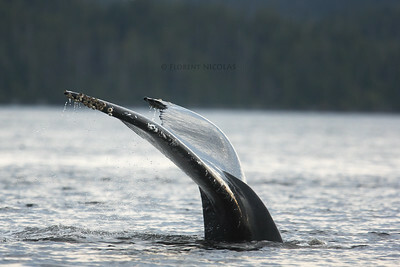 Humpback whale along the Canadian mainland, Northern British Columbia. 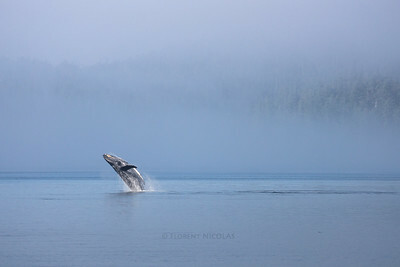 The perfect and typical scenery from Northern British Columbia: calm waters, good light conditions and of course some whales in the area. 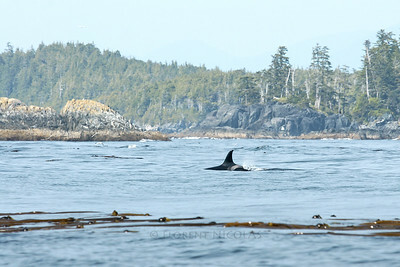 A special place in the North Pacific waters, that does not need oil tankers and pipelines. First nation communities and wildlife need a healthy environment, they don't need tankers. The northern coast of British Columbia, Canada, is one of the most pristine wilderness areas of North America. 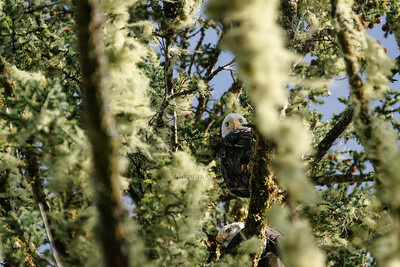 Sitting on a rock along the northern coast of British Columbia (#Canada), one of the most amazing show from wildlife is happening right in front of us. 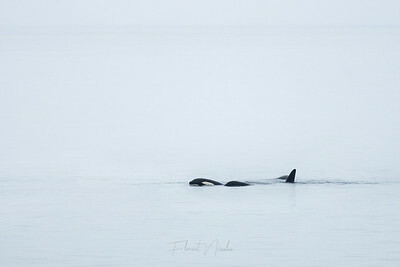 For few hours, my colleague and me will be the unique witnesses of a playfull group of orca. These animals were rolling on each other, breaching, chasing birds, ... . Trust me, you never want this kind of moment to end! 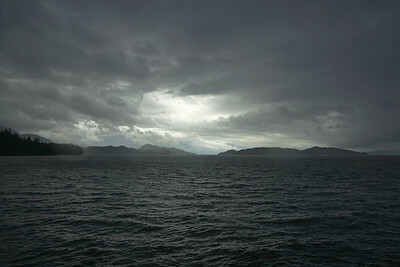 This picture was taken on the proposed route for oil tankers in the Great Bear sea in Northern British Columbia. This population of killer whale is of course dependent of the good environmental status of its habitat. We cannot accept that oil tankers will use this sea as corridor to export oil abroad. 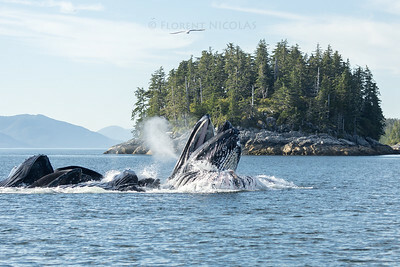 Humpback whale along the wild coast of Northern British Columbia, where the Great Whale Sea meets the Great Bear Rainforest. Offshore the Great Bear Rainforest, here is the Great Whale Sea.